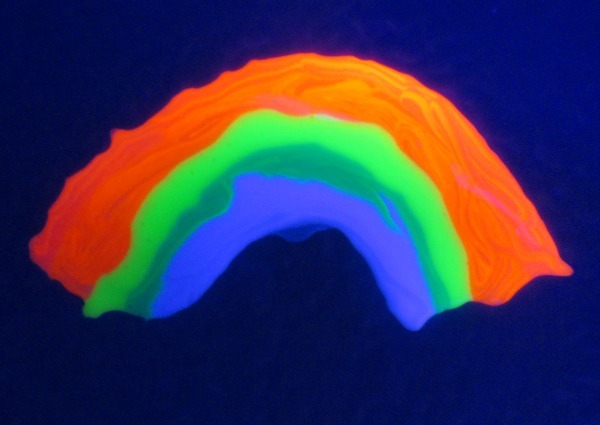 Rosie and Jewel have been loving the glowing rainbow slime so much I thought it would be fun to let them explore with glowing rainbows in new and different ways. 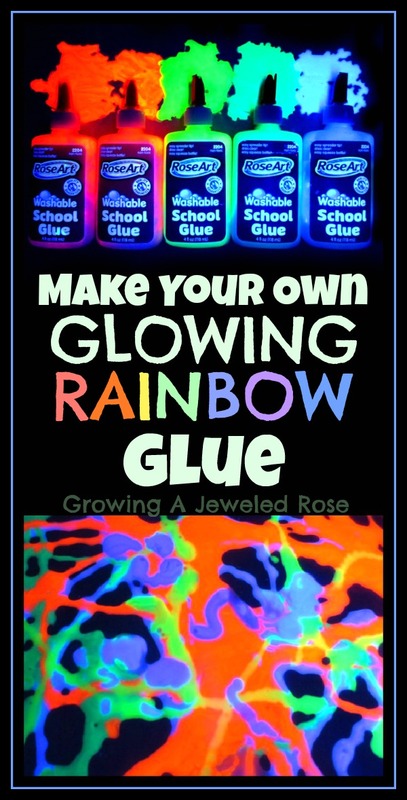 This glowing rainbow glue was tons of fun, the recipe is super simple, and it only costs a few dollars to make. I purchased 6 bottles of white school glue at Target for just over a dollar and already had the fluorescent Paints on hand. 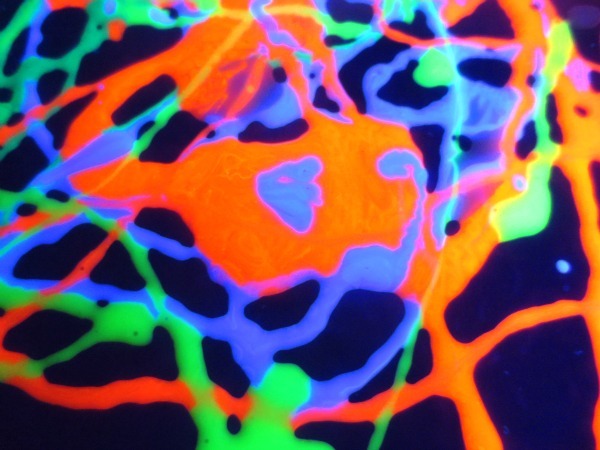 If you don't have fluorescent paints they are lots of fun and there are tons of ways to use them. 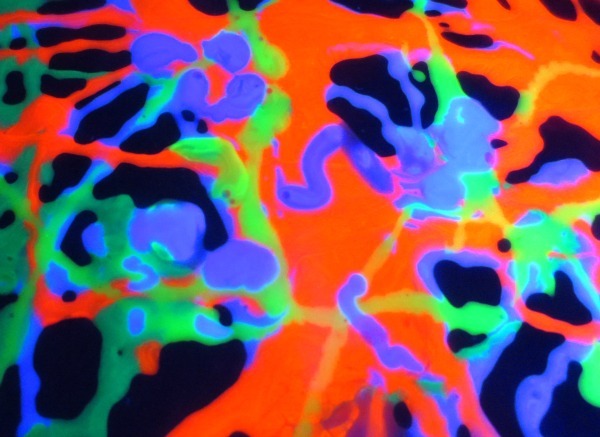 You could also use glow in the dark paint like we did when we made glow glue before. 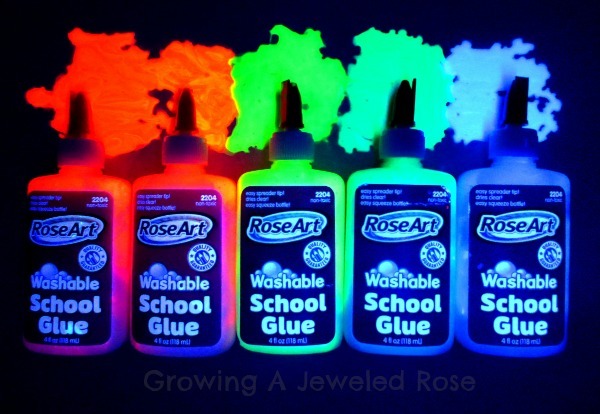 To make glowing rainbow glue all I had to do was add some fluorescent paint to each bottle, stir, and shake! 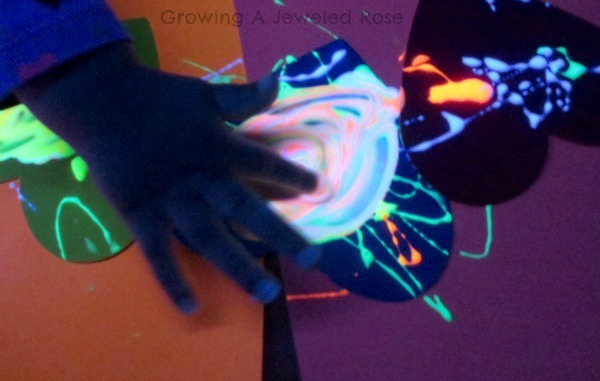 There are lots of fun ways to use glue for art and sensory exploration. It makes a really fun art material with a fun texture too. I set Rosie up with her glue, some foam craft hearts, and construction paper and let her explore freely. 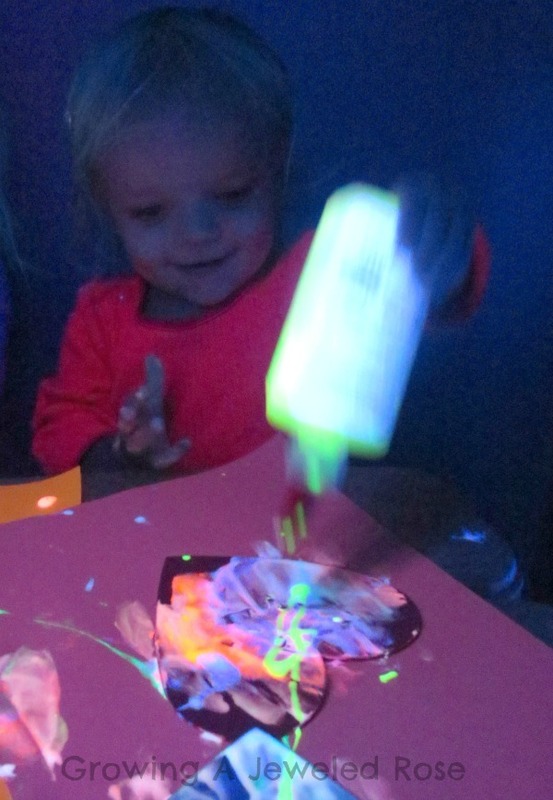 Sticky- glowing- goopy -colorful FUN! 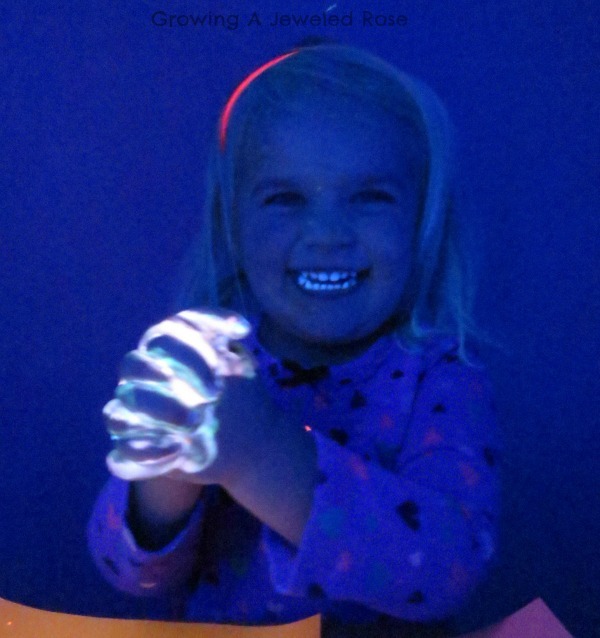 She loved the glowing glue just as much as Rosie. 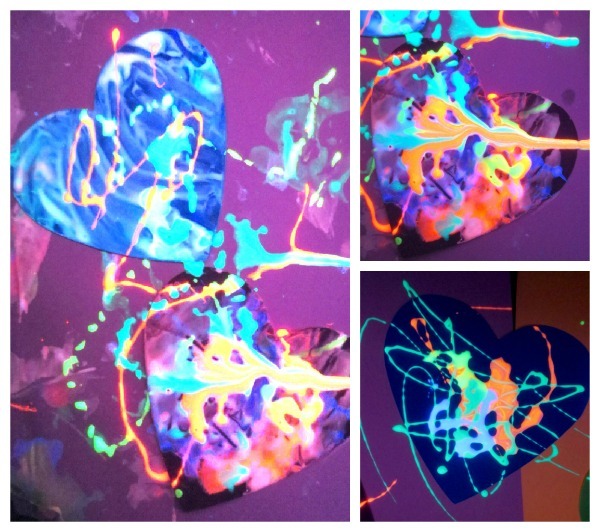 They had a blast making marbleized glue hearts and other swirling art designs. I loved the free pour art the most! 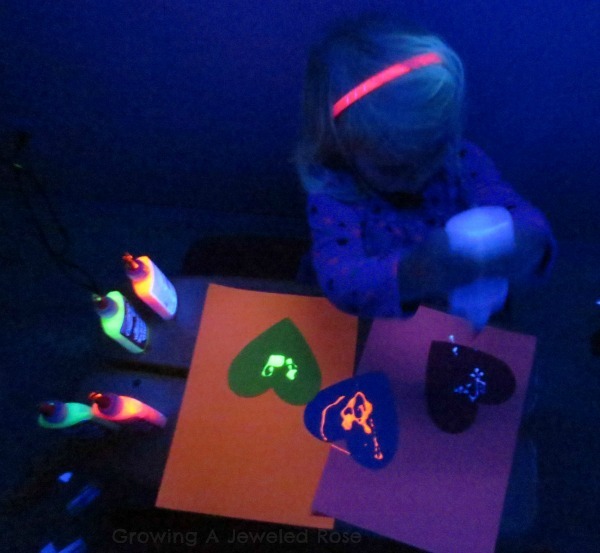 We even made a few glowing rainbows. Once dry they will make perfect window clings for the girls blacklight play area. 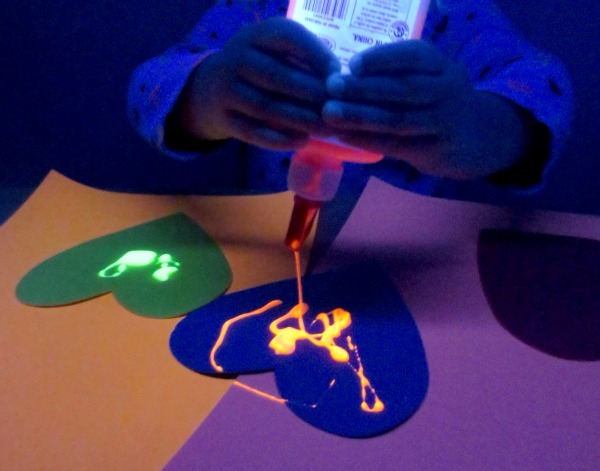 Note- to make window clings just create art on wax paper, let dry, peel ,and stick! 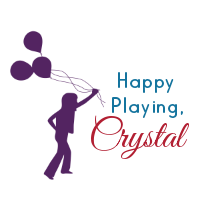 Simple to make and so much FUN! 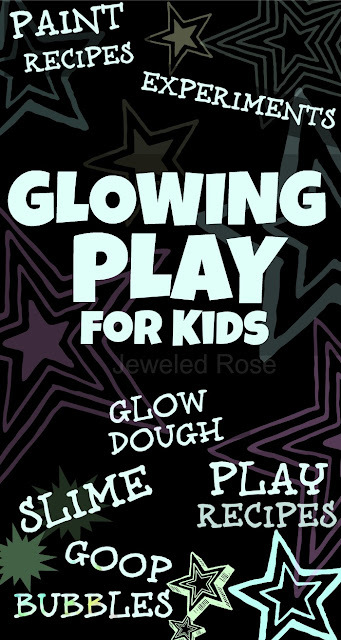 Check our our GLOWING Play Collection for lots more FUN!